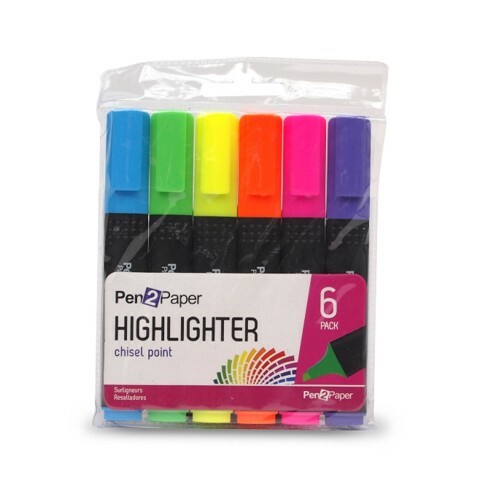 Highlighters Chisel Point 6Pk. 125 x 18 x 10mm. Black Body Colour Lids And Base - 6 Assorted Colours: Orange | Green | Yellow | Pink | Blue | Purple. Plastic. 11.5G Packaging: PVC Pouch with Colour Label.